I’m Jacki, otherwise known as The Woolly Badger. I started The Woolly Badger Etsy shop in January 2018, after returning to work from maternity leave. In my other life I work as a freelance writer (you can find out more about that side of things on my writing website), but as writing is tough to do with a shouty one year old around, I decided I needed to do something else to help fill the hours on the playmat. And so The Woolly Badger came along. 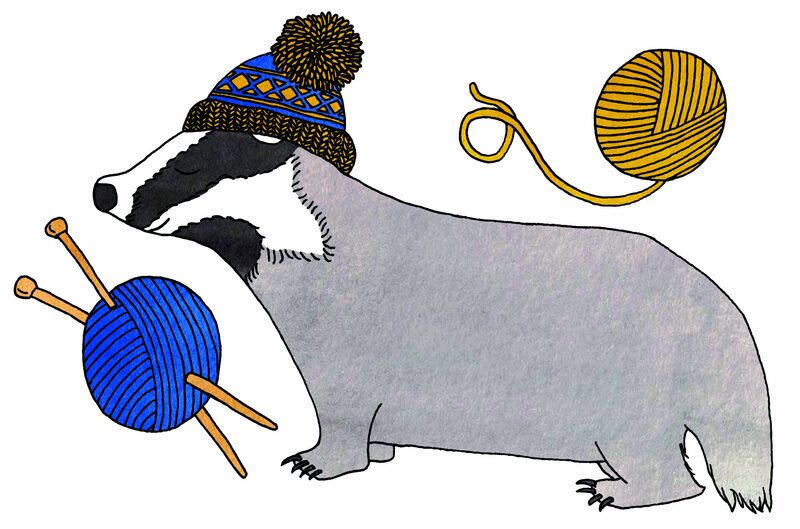 I design and knit everything that’s on offer in the Woolly Badger shop myself. I’m all about fun, bright colours, keeping things gender neutral, and modern takes on the old classics. So you’ll find colour-block baby cardigans with contrast buttons, cabled bobble hats in the brightest colours around, and matching sets for all the family. I’ve got plans to expand the range I offer, and maybe even start publishing some patterns. If there’s something you think I should be working on – or if you’d like to work on something with me – then get in touch.